You’ve found the new, or pre-owned, vehicle of your dreams. Now it’s time to finance it. You’re not alone. Rest assured, our Keating Nissan Finance Department, serving Houston, Spring, Sugar Land and The Woodlands, is here to share our knowledge and resources. Regardless of whether you’re looking to finance new or pre-owned, we promise to stand with you so you’ll receive your new vehicle on the best terms possible. The Keating Nissan Finance Department accommodates all of our clients’ needs and circumstances. That means everyone gets 100-percent of our efforts. We do everything from negotiating with our contacts, to ensuring low interest to buyers with existing loans, to even refinancing if your situation deems it necessary. Feel free to use our payment calculator to explore possible finance options. Next fill out our Credit Application form where you’ll provide information necessary for applying for car loans. We can help you decide which option may be best for you. If you’re interested in trading in your current vehicle, we can help appraise your vehicle. 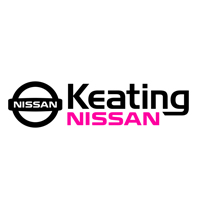 The Keating Nissan Finance Department is a valuable resource at your disposal. Contact us online with your questions or feel free to swing by. You’ll find us conveniently located 333 Interstate 45 South, Conroe, TX. We are proud to offer our services to the greater Tomball, Humble, Aldine, Atascocita, Huntsville, Jacinto City, Cloverleaf, West University Place, Bellaire, Galena Park, Channelview, and Katy, Texas areas. Come in today to learn more about financing a new Nissan or pre-owned vehicle. We look forward to meeting you!